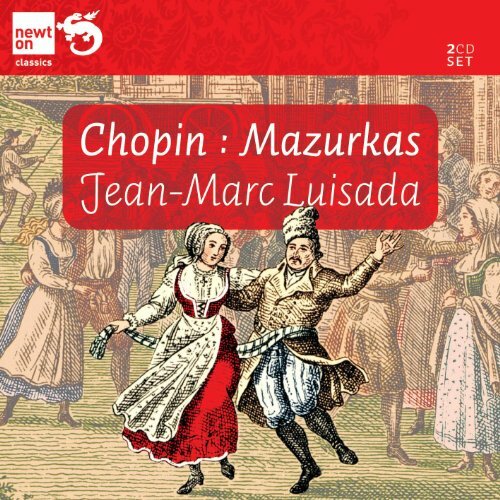 So, what are your favorite recordings of Chopin's mazurkas? Either the whole shebang or selections. Rubinstein's last set has always been my favorite. On the shelf I have Rubinstein x 3, Ashkenazy, Francois, Harasiewicz, and Ohlsson for complete sets, plus healthy selections from Richter, Perlemuter, and a few others (working from memory here). What favorite recordings of yours am I missing? One of my favorites that you're missing comes from Jean-Marc Luisada. Originally on DG, his set is now available on Newton Classics. The man's playing is quite unique, concentrating more on detail than flow. His newer recording is nice, too. Details are very much the concern there, too. I think that rubinstein's 1965-66 recordings(volume 50 of the set) are not only the best mazurkas they're one of the greatest piano recordings of all time. rubinstein, ohlsson and harasiewicz sets should do for everyone but there are many beautiful selections such as argerich, horowitz, bunin and michelangeli. if you listen to mono recordings the best should be the poles friedman and rosenthal. do you have a favorite op 22? I'm probing Op 22s recently. Why do you like the last Rubinstein set the most? Do you enjoy old recordings? The answers to these questions will help me give you a better answer tomorrow. In fact, I am now enjoying Rubinstein's first complete set of Mazurkas, recorded in 1938-39. Transfers by Ward Marston. It's on Spotify too. Thanks, George. 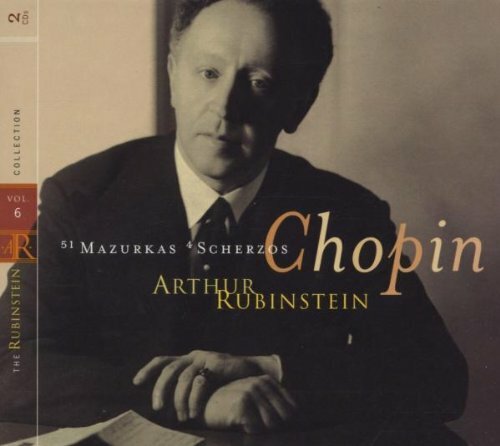 I have all 3 sets of Rubinstein's Mazurkas, indeed it's great stuff (that's one reason I passed on the big Rubinstein box -- I've already got all of his Chopin). Which Luisada would you recommend - the older one or the new one? The DG one is the only one I have heard. For years it was my favorite set of the Mazurkas. It probably still is, though Wasowski and the early Rubinsteins and Maryla Jonas are close behind. And let's not forget Friedman on Naxos Historical. Old recordings are fine -- I love the Cortot Chopin that I've heard, and greatly enjoy Rubinstein's 1930's mazurkas & nocturnes. 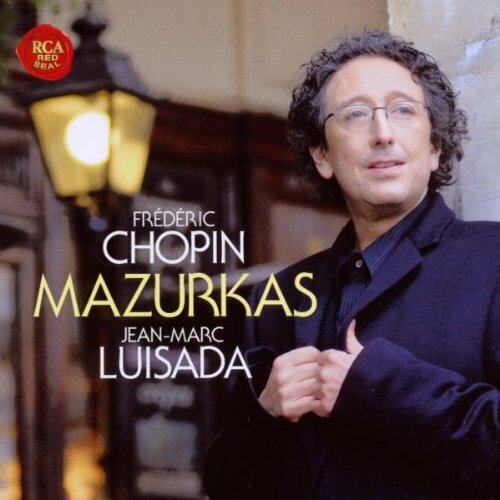 It's hard to describe why I like Rubinstein's mazurkas so much. I like them for their lyrical quality, for how they project a deep sense of Romanticism without becoming mushy or sentimental. I love the way he makes the melodies flow so naturally, nothing sounds contrived or forced, like the notes are just falling off his fingers. His tone is beautiful, soft or vigorous as necessary but never harsh, and it's beautifully recorded. And this is largely in my own head, I know, but I can't help but hear a certain nostalgic, autumnal quality in the 1960s recording, as if these are works he's thought about for a very long time, and he knows that this may be his last chance to capture his reading for posterity, so he wants to do it just right, nothing eccentric, just Chopin as he feels it should be played. I don't know Luisada's DG recording too well, but after sampling it from Spotify, I'd recommend the RCA recording. First of all, the sound quality is awesome, no hardness whatsoever, and the reverberation isn't too strong, either. "[T]he most realistic recording of a piano I've heard" writes a reviewer at Amazon (R. Steiger, his whole review is quite insightful). Second, well, it's just a great recording, treating each opus as a unity. Dance-like, but not necessarily danceable, and certainly very free playing. "At the time when DG asked me to record all the mazurkas I hadn't actually played more than a few of them. And the recording had to be done in only a few months. So I learned them very quickly, and while there was certainly something spontaneous about the playing, for me something was definitely missing. Since then, though, the mazurkas, as I say, have been a part of my life. I've played them many times, often as a complete cycle, in a single two-and-a-half hour concert." But why do that? The best performances are scattered around and played by people who just selected a few mazurkas. First and foremost I would listen to all the mazurka recordings made by Sofronitsky . See what you think. And Michelangeli and Malcuzynski. They'r not all equally good, but it would take me some time to pick out the ones which I thought were outstanding. Also Pogorelich and Argerich and Virssaladze and Ciani and Kapell and Sirota and Cherkassky and Richter and some of the records Moravec did too. And if you don't mind bad sound and you're interested in the history, why not try some Jonas or Friedman? I think that's a more interesting thing to do than buy a single complete survey of them. I actually have the Moravec disc with the Debussy, I'll have to give that a spin this evening! Come to think of it, I may have more mazurkas on my shelves than I think I do, scattered about -- I'll have to rummage around this weekend. 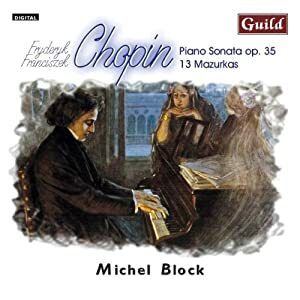 I've never heard of Michel Block, thanks for the tip. 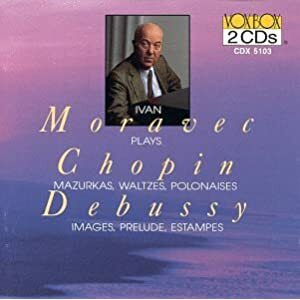 Unfortunately that Morvec CD with the Debussy doesn't have the best of his mazurkas, I would say. 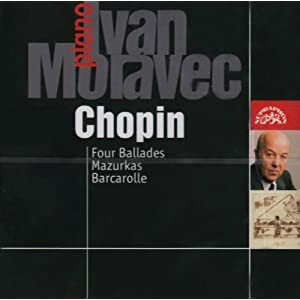 For that you need to go to the CD with the Chopin Scherzos, and the live CD from Brussels, released a couple of years ago. 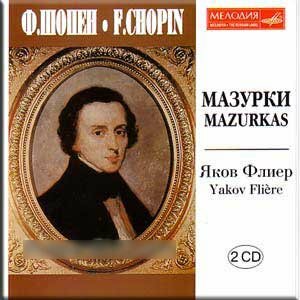 Do try that collection of mazurkas from Pollini that I found on youtube, from London in 2008. i've been enjoying it all day.